2 Days of Gifts App Launched by Apple in conjunction with Christmas Day! 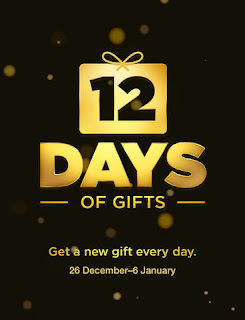 Apple launched new "12 Days of Gifts" application in conjunction with the upcoming Christmas. The 12 Days of Christmas Gifts, only offered to international users only, excluding the U.S, so it open to all users of iPhone and iPad! From December 26 to January 6, you can download a gift each day—songs, apps, books, movies, and more—with the 12 Days of Gifts app. Each day’s gift will only be available for 24 hours, so download the free app to make sure you don’t miss out. This offer can only be downloaded for free in the next 24 hours. To ensure you do not miss a free offer, make sure you download the 12 Days of Gifts app from the App Store for free!